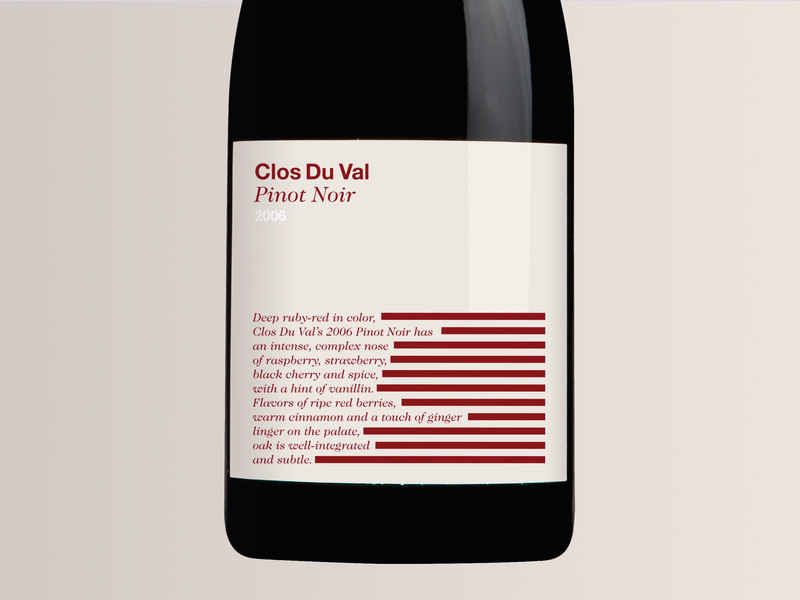 To design a wine label packaging for a new winery in California. There is something rhythmic about the way a wine is described, like a reading a poem. 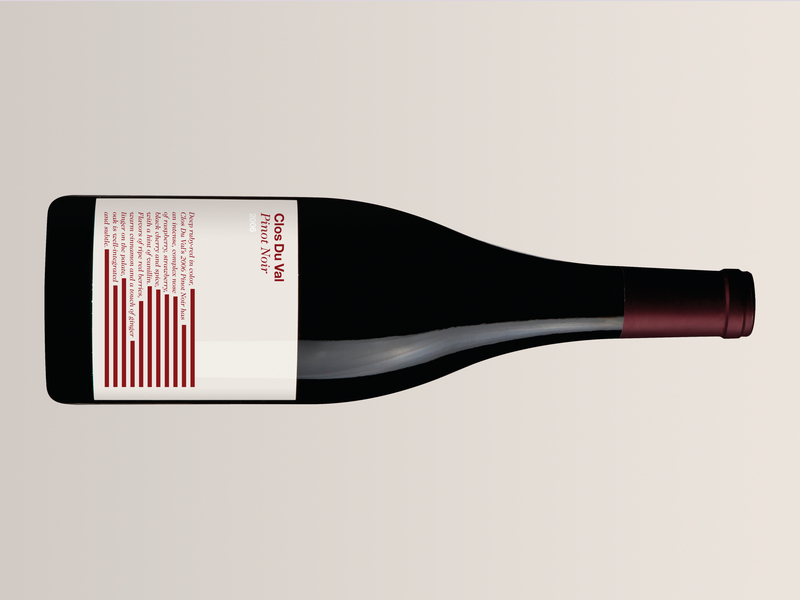 I took the inspiration of a vineyard, where the grapes are neatly planted in rows, to compliment that with typographic rows to describe the taste. By using this in front of a wine label, it is akin to picking up a book and reading a few pages before you decide to get it.